Taruya FPC-07M Silver Cartridge with Needle for DVS.TURNTABLE TARUYA Phono Cartridge with Needle for DJs and Music Lovers. Listen Massive Sound & Play Vinyl! Taruya was founded by Japanese needle craftsman. 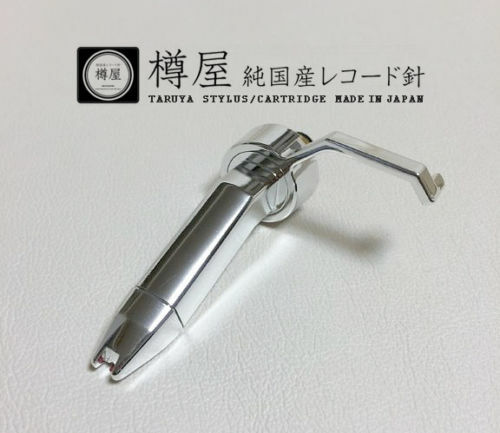 Taruya's stylus has been used by lots of music lovers, audiophiles and world's famous professional Djs like Derrick May, Dj Harvey, Jazzy Jeff and so on. FPC-07-M stylus was developed for control vinyl of Serato-DJ/Scratch-LIVE. so it can read the data for fast backspins. This stylus is also available for playback of vinyl record but we strongly recommend 01-M or 03-M for buyers who play vinyls only. 1x cartridge and 1x stylus. Power of FPC-07M Played by DJ JAZZY JEFF.